Happy world goth day, everyone! 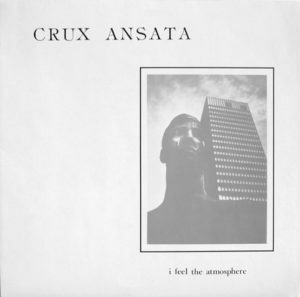 Figured I’d chime in and celebrate with an updated version of one of my favorite darkwave/goth classics, the lone 12” from Germany’s Crux Ansata. You may have seen this one on Dreams and Voices in the past, but here’s a fresh rip I made of the record early last year. The opening epic, “Remembrances” is one of my favorite cold, gloomy tracks, perfect for this rainy, foggy day in NYC and beyond. This record was released in 1989, and while it’s their only release, both members were active in other bands. Both Hovi Miskovics and Roman Rütten continued in Endraum after this 12”, and also released one song as A Foamy Project In Neutral Days, a supergroup of sorts with Neutral Project. 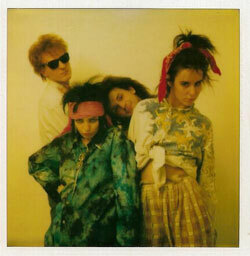 You can find the one track they recorded together on the infamous Supercherie compilation from 1991. Stay tuned over the next few weeks for some more dancefloor-ready 12”s, some unheard discoveries, even more new and improved rips of old classics, and one of these days, a new VA comp. coming down the pipeline! 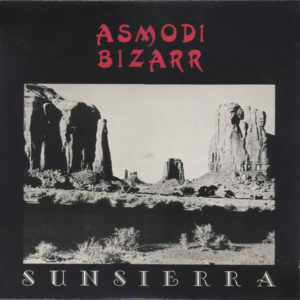 Here we have Asmodi Bizarr’s classic Sunsierra LP, a landmark in female fronted post-punk in the veins of Xmal Deutschland, Stimmen Der Stille, Cry of the Innocent, etc. The band hailed from Düsseldorf, Germany and released three albums and one demo 7” (would love to hear this!) before calling it a day in the early 90s. Members of the band also recorded a 7” compilation track under the name Aspirin. Fortunately, the band can be found on Facebook, and has since reunited to play shows in 2011 and 2014, respectively. They’re playing this year’s Wave-Gotik-Treffen festival, so I hope those headed out that way can check them out and report back! This is their first LP, released in 1986 as an LP+12” package, featuring two of the band’s best songs as the bonus LP cuts. Some of you may have seen this posted elsewhere, but this particular copy is freshly ripped and cleaned up for maximum listening enjoyment. To those who haven’t heard it yet, it’s one of my all time favorites. Either way, hope you enjoy it!